Expanded Metals are widely accepted and most often used for enclosure, protection, and support. This product offers a high percentage of open area, plus availability of a variety of mesh sizes, weights and materials. Job cutting and fitting can easily be done by one or two people with proper cutting and welding equipment. Provides lightweight strength that opens a myriad of design opportunities for fascia panels, balcony railings, sunshading in new construction and remodeling. Expanded metal offers safety, beauty, extensive selection, economy, wind resistance, and unique directional properties that capture the imagination of the architect. 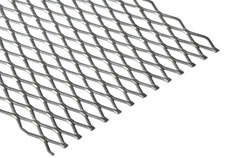 Easy to cut, shape, and weld and is available in a variety of metals and finishes with dozens of mesh patterns. 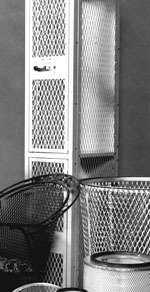 Machine guards, railing panels, shelving, partitions, security screens, and many other applications. These products are strong without excess bulk or weight. They are easy to fabricate, bend, curve and reinforce. 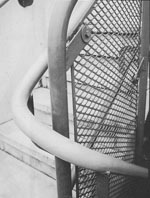 Expanded metal grating provides secure footing for walkways, catwalks, floors, platforms and stair treads.